Do you have children studying abroad, or have studied abroad in the past? If so, you probably know how hard it is to stay in touch. The challenge is knowing where your child will be at any given time, so it’s on them to keep the lines of communication open. But international calls can rack up high bills. Each year, more and more students pack up their belongings to travel to far-flung locations. Their destinations run the gamut from Australia to Peru to Italy. According to the Institute of International Education, U.S. study abroad participation has more than tripled over the past two decades. 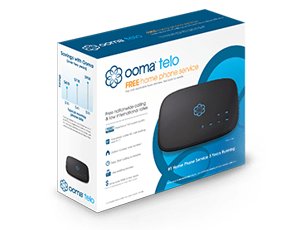 We thought this would be a good time to remind our Ooma Telo customers about Ooma’s mobile app. The app lets you make outbound phone calls — even international calls — using Wi-Fi or 3G/4G cellular data connection from Android or iOS devices (including the iPad and iPod touch). Because calls made with the mobile app use WiFi or 3G/4G, you bypass carrier restrictions, and save on international phone calls. But be aware that international data can be expensive. So whenever possible stick to WiFi. Let’s break things down even further: You are a mother of four and your family uses Ooma. Your daughter decides to study abroad in Ireland, so you subscribe to Ooma’s low-cost mobile calling plan. Before she departs on her adventure, cell phone in hand, she downloads the Ooma mobile app. 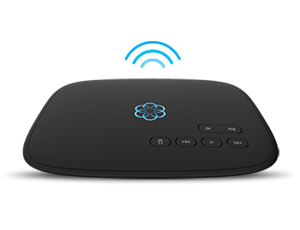 Once overseas, she can make calls through the app to your Ooma home phone number anytime and anywhere, as long as she has access to WiFi or 3G/4G connection. You’ll even be able to talk in High Definition which will make her sound like she is in the next room. So if you have a world traveling offspring, don’t fret, or break the bank. Keep in touch with the Ooma mobile app – although we can’t guarantee you won’t need to talk them out of an impulsive adventure. Skydiving in the Amazon, anyone? I am studying in USA and i got frustrated by paying high bills for international calling. 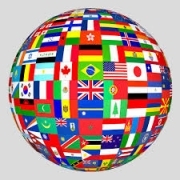 You are providing good services as i can see i really want to try your services to make Cheap calls to India to connect with my family on economics call rates. For a student , who came to abroad fro studies must need the family support. For this the student need the solution to stay connected with family and friends at a very economic rate. For making cheap calls to overseas VoIP service will helpful for you. Use the mobile dialer apps that are beneficial for you. Hi, thanks for posting this once again. I agree, use WiFi always.